Percona XtraDB includes all of InnoDB ‘s robust, reliable ACID-compliant design and advanced MVCC architecture, and builds on that solid foundation with more features, more tunability, more metrics, and more scalability. In particular, it is designed to scale better on many cores, to use memory more efficiently, and to be more convenient and useful. The new features are especially designed to alleviate some of InnoDB ‘s limitations. We choose features and fixes based on customer requests and on our best judgment of real-world needs as a high-performance consulting company. 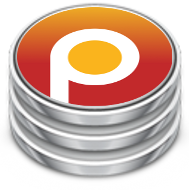 Percona XtraDB engine will not have further binary releases, it is distributed as part of Percona Server and MariaDB.